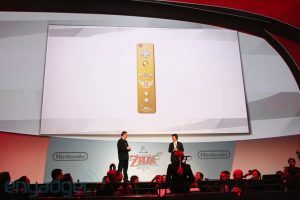 Sometime during 2012 Nintendo will start selling new new Wii. It has had many names “Revolution 2”, “Wii 2”, “wiiHD” But Nintendo settled for a very different yet familiar name, “Wii U”. They didnt mention actual internal specs but it will be a 1080p console with an internal flash memory and an upgrade cpu/gpu. It will also support SD-card and usb HDD. IBM is, as with the original Wii, once again responsible for providing the processor inside. Four USB 2.0 slots are made available, while game media will be served up on “proprietary high-density optical discs.” There’s also another, worthwhile, reminder that the Wii U will play Wii games and their optical discs without a problem. But most appealing is the new controlling device. They bought back a somewhat more familiar controller shape, but this thing is no ordinary controller. It will feature motion control a 6.2″ touchscreen as-well as a front facing camera. It also does video chat, and has a web browser, and it mirrors photos/videos up on the TV. 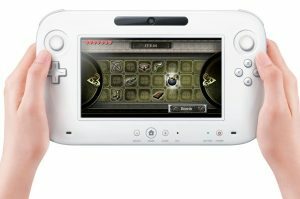 Nintendo’s being careful to say the controller is not a portable gaming machine. All the images come from the Wii U, wirelessly transmitted. Notably, you won’t have to use the 6.2-inch monster if you don’t want too — the Wii U will be compatible with all current-gen accessories and software. Yes, your expansive Wii collection will play on the U version of the console as well. 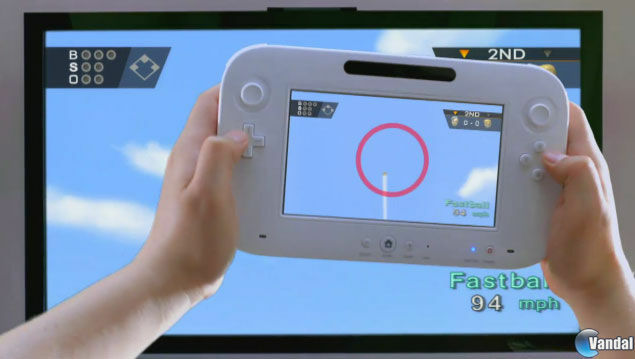 We’ve also seen some decidedly high-def visuals from Nintendo showing off the Wii U’s graphical prowess. More here, including a video! Skip to 1:15 for WiiU gameplay. They also announced something less interesting during their keynote. A Zelda skyward sword special edition controller. Original wii style. Up to four Wii Remote™ (or Wii Remote Plus) controllers can be connected at once. The new console supports all Wii™ controllers and input devices, including the Nunchuk™ controller, Classic ControllerTM, Classic Controller ProTM and Wii Balance Board™. A single self-loading media bay will play 12-centimeter proprietary high-density optical discs for the new console, as well as 12-centimeter Wii optical discs. Previous: Sony files trademark for PSVITA, is this the NGP's new name? Its cool i would like to hav 1.